A motorist involved in an accident in Portadown was over three times the drink drive limit. Edgaras Penkaskas (32), Clounagh Road, Portadown, was banned from driving for 15 months last Friday at Craigavon Magistrates Court. He was also fined £350 and ordered to pay a £15 offender’s levy for excess alcohol in his breath on July 7 this year. For driving without due care and attention he was fined £75 and given a concurrent six month ban. 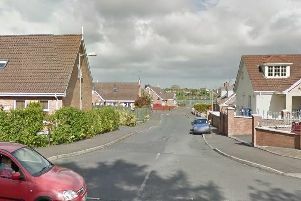 The court heard that at 8.50pn a two vehicle road traffic collision took place on the Brownstown Road. Penkaskas provided an evidential sample which gave a reading of 135 – the limit is 35. Mr Philip Reid, representing the defendant, said it was an exceptionally high reading. He explained his client had been celebrating his wife’s birthday and made the ridiculous decision to get in the car. An accident happened and that was another aggravating feature, said Mr Reid.